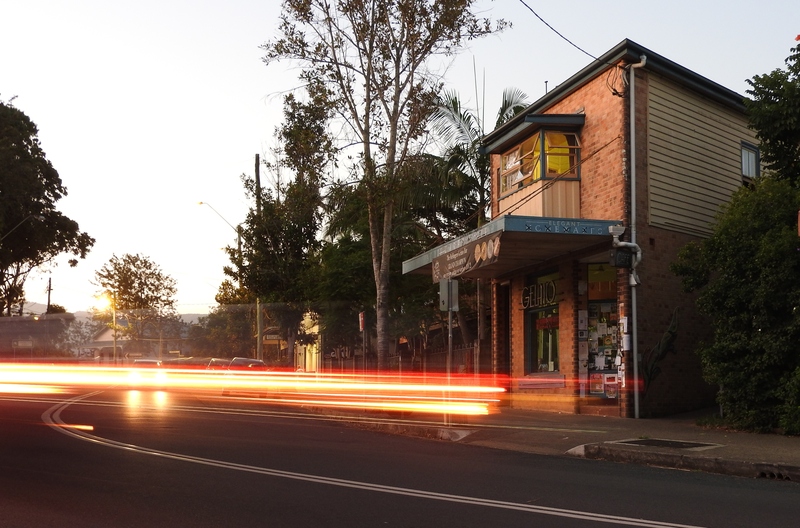 Hiding in a historic and quirky building in the main street of Bellingen is this treasure. Our very own gelato shop .. Recently “our” gelato makers scooped the pool at the Sydney Royal Agricultural Show, winning over twenty medals. Their Chocolate Jaffa (orange) won Champion Gelato, and Stewed Plum with Cinnamon & Clove won Champion Sorbet. The winning flavours were entered by their only other outlet, located in the Sydney suburb of Rozelle. Pina Colada, Watermelon & Mint, Pistacchio & Rose, Roast Macadamia & Honey and Thai Coconut with Pandan & Palm Sugar are some of the more exotic winning entries. 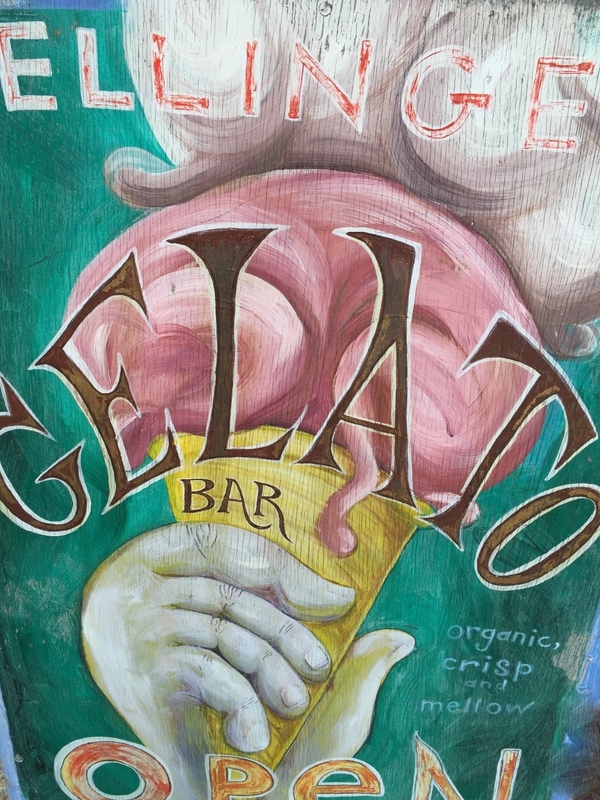 Bellingen Gelato recycles, composts and uses plant based containers. So in the spirit of loyalty, and on account of the hot weather, I feel obliged to work my way through the freezer display. Thankfully, the shop is in total lockdown at night !! You are welcome any time – but Rozelle is about 500Km closer !! I think this is the ice-cream heaven that was annoyingly closed for holidays when we were with you! My mouth is watering.